TARS radio operators in 24-hour national off-grid field exercise at USI June 28th-29th. Amateur Radio Operators of the Tri-State Amateur Radio Society are participating in a 24-hour, off-the-grid national field exercise to set up and operate emergency communication systems using using digital and satellite capabilities, voice communications, radio and even Web hybrid systems along with historic Morse code showing ham radio is at the forefront of technology. Ham radio developed the original texting technologies so popular today. Get On the Air (GOTA) operations are set up for the public. If you have any interest we will have someone available to help you Get On The Air and join in the fun. During fires, earthquakes, tornados and other crises, Amateur Radio is often the only way by which people communicate. Amateur Radio operators are often the first to provide critical early information and observations to responders in crisis situations when cell phone towers are out and power lines down cut Internet access. 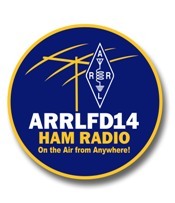 This exercise provides a chance for the public to meet and talk with the hams and see for themselves what the Amateur Radio Service is about.